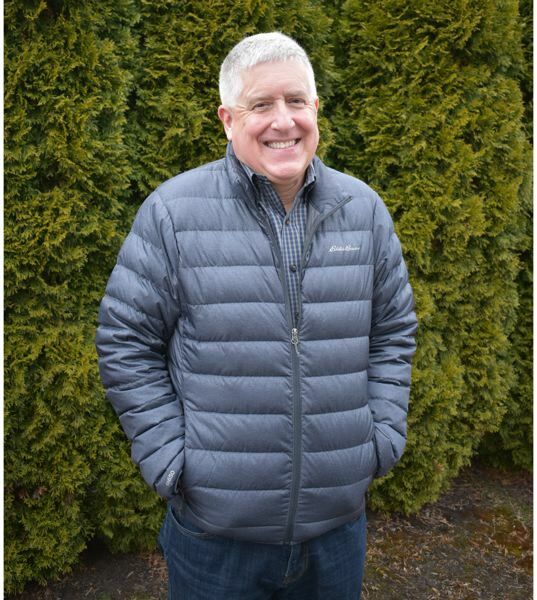 The Gresham Area Chamber of Commerce doesn't bill itself as a networking school, but Jim Hatheway found his interactive skills markedly improved after joining the organization sometime around 2009. "A good friend of mine got me to look into it," he recalled. "He said, 'Jim, you need to start networking with folks.' I was a very inwardly focused person. He was right. (Now) I've become a pretty good networker through the chamber." Hatheway's chamber colleagues apparently agreed, choosing him in December to serve as the local business support organization's president for 2019. A financial advisor with Transamerica, Hatheway, 65, sees his new role as a complement to longtime chamber CEO Lynn Snodgrass along with facilitating the chamber board of directors' needs. "I am representing the chamber membership and helping to lead the board as it interacts with the CEO," he said. "There are a few things that have to happen for the board in this sort of arrangement, working with the CEO in evaluating performance, bringing on board members. "The president kind of leads those initiatives that boards typically (get involved in), and represents the chamber at certain events," he added, "Where there are opportunities for the chamber to represent itself, I try to be at those." So far, Snodgrass is impressed with the Portland native's intuitive take on Gresham's evolving population and expanding business climate. "One of Jim's goals is to focus on increasing diversity in our membership," Snodgrass said. "He recognizes the richness of variety in our community, having lived and worked here for decades." She praised Hatheway, who has served on the Government Affairs Council for at least the past five years, for being "protective of the chamber members through his thoughtful deliberation, issue by issue." It helps that Hatheway, by most if not all accounts, exudes a natural sense of helpfulness and geniality. "Jim attends the weekly Friday AM (meetings) where he is surrounded by 100-plus Chamber members," Snodgrass noted. "He is respected and well liked in large part because of his easygoing personality. It's infectious." Growing up in Portland, Hatheway relocated to Sheridan, Wyo., for five years before returning to Oregon in 1985 to settle in Gresham with his wife, Alice. Alice recently retired after serving nearly 30 years as a primary teacher in the Gresham Barlow School District. The couple have a daughter who lives in Grand Forks, N.D., and a son who works for a subsidiary of IBM in Beaverton. "We have been lucky enough to visit with them no matter where it is they were living," Hatheway said. "Our family is very important to us." For 26 years, Hatheway worked in management and information technology roles for PacifiCorp — aka Pacific Power and Light, a Portland-based multi-state electric power utility. Since leaving PacifiCorp in 2006, he has worked with Transamerica Financial Advisors. "So many people find it hard or even scary to talk about finances and investing," he said. "I spend a lot of time working to make that process less intimidating and more understandable." Much as he enjoyed aspects of that corporate role, he admitted it "didn't satisfy every need in my heart." Serving on the Gresham chamber, however, provides a "way to give back to the community. "Gresham is a good community," he said, "and the chamber gives me that opportunity."